MOVE IN READY AFFORDABLE HOME IN MUSTANG SCHOOL DISTRICT!! 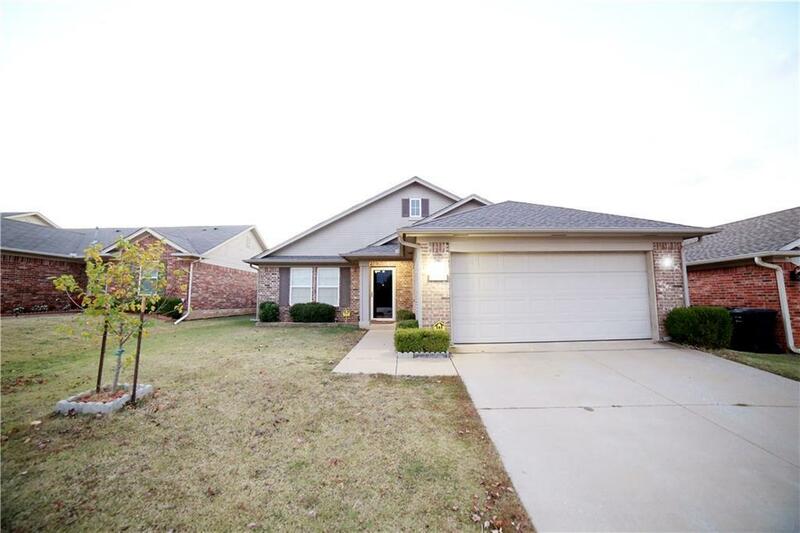 Beautiful 3 bedroom 2 bath and 2 car garage home in a great neighborhood. New large Porcelain large tiles living and dining area. Open kitchen, with electric smooth top stove, built in microwave, neutral ceramic tile floor, dishwasher & stained wood cabinets. Master suite has ceiling fan and plenty of space. Bedrooms 2 & 3 are on the opposite side of the house and has a bath between them. This home has a large backyard with privacy wood fence around the property. The backyard has a tool shed that would remain with the property. The neighborhood has walking trails,park, pond, and picnic area. The location is close to I-40 and only minutes drive from Will Rogers World Airport.